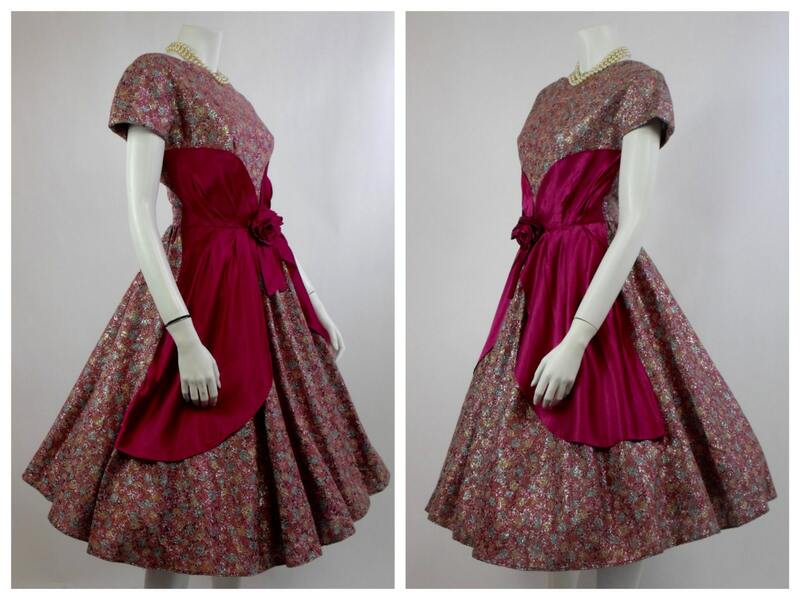 Cupcake dress circa 1950's is in very good vintage condition. 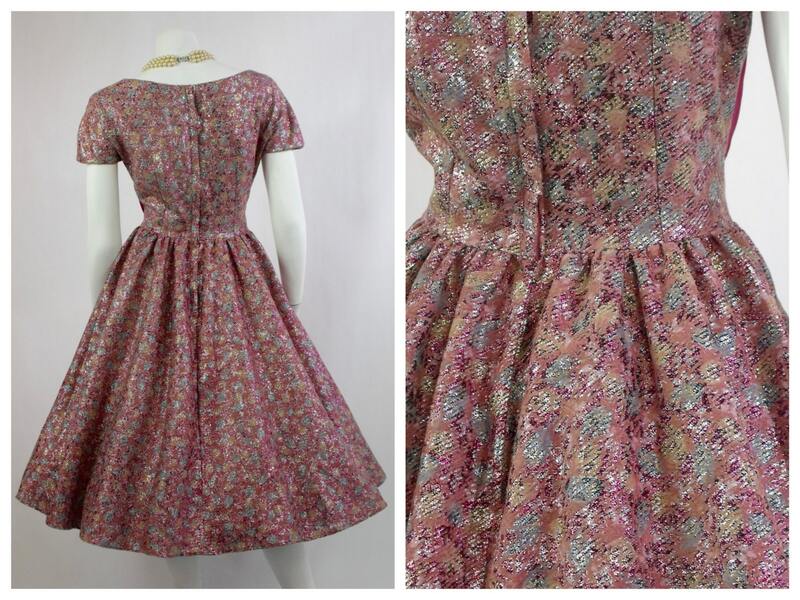 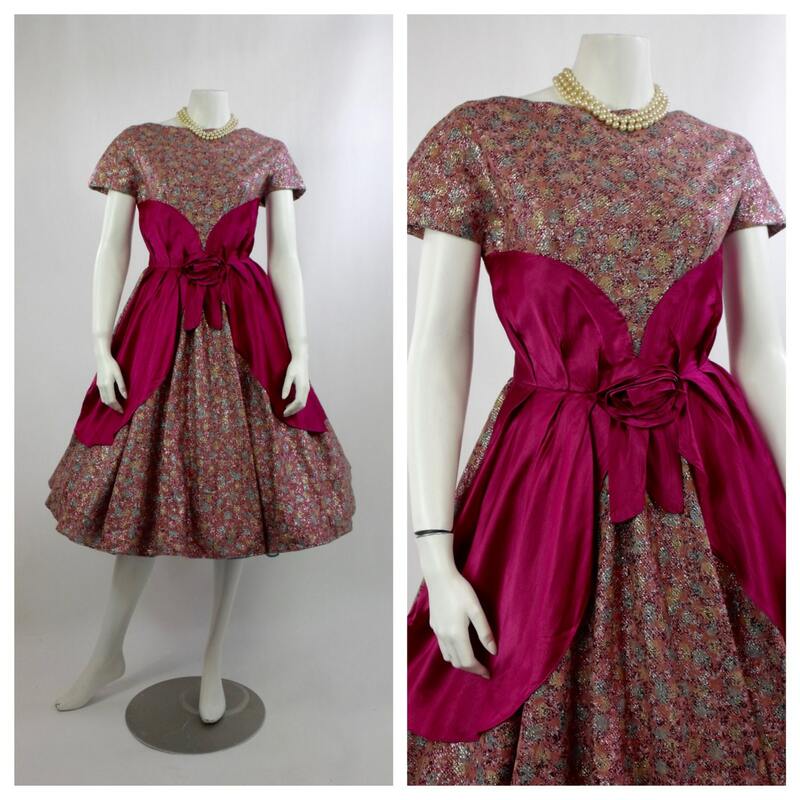 This beauty is perfect for your vintage themed Prom night! 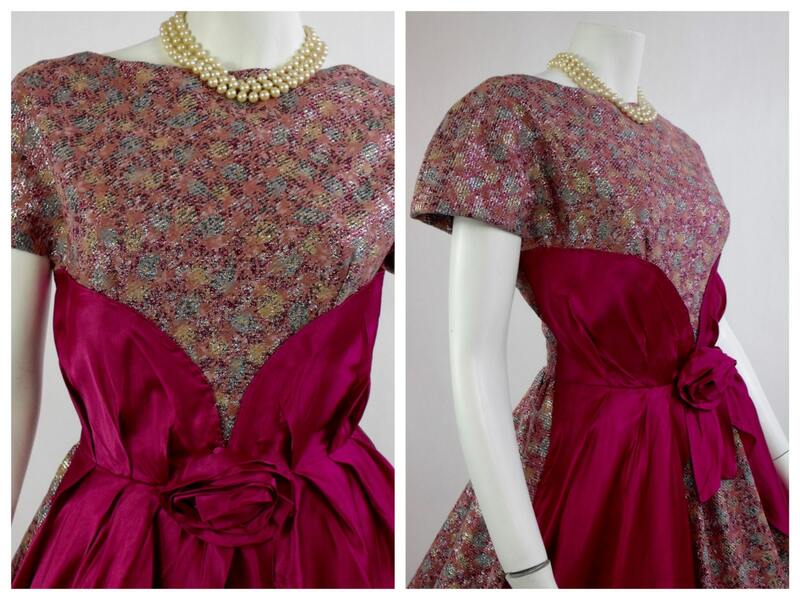 Stunning metallic, flocked lamé with fuchsia satin waist detailing add to the beauty of this piece. 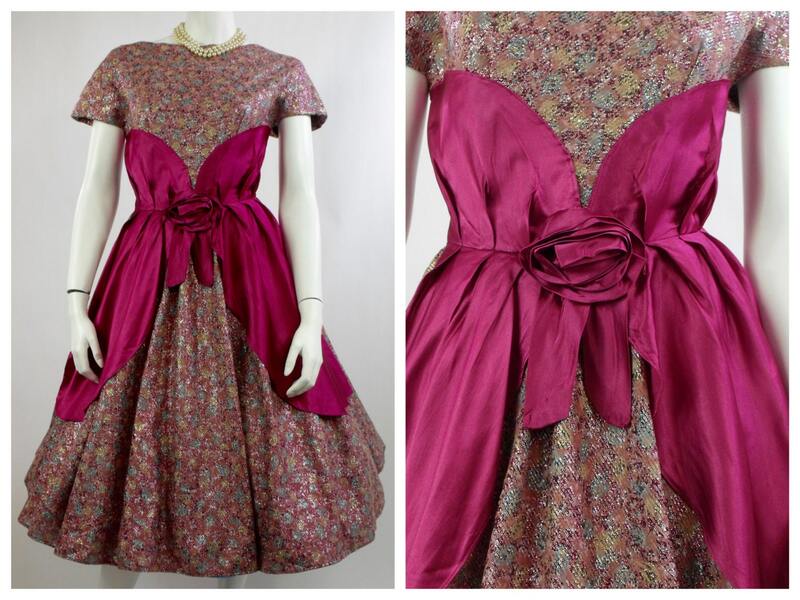 FITS CONTEMPORARY AMERICAN SIZE 4 to 6.